When Darth Maul dries his hair off after a shower, he has to be really careful so as to not tear his towel to shreds. But luckily, he doesn’t have to worry about that with his Star Wars Darth Maul Black Hooded Cotton Bath Robe! 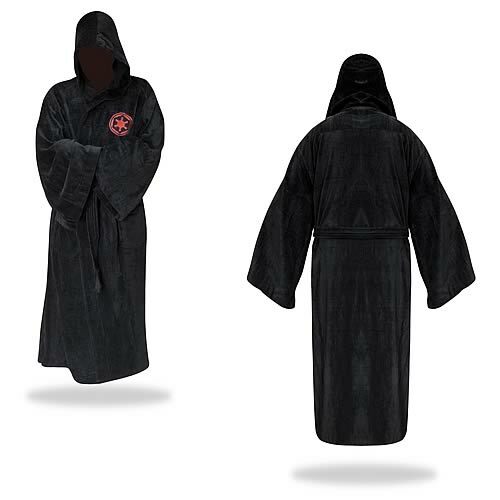 Featuring a black design with double lined hood complete with Darth Maul’s signature tattoo print on the inside and red Sith logo on the front, this robe is absolutely perfect for any fan of the Star Wars series and the Sith.